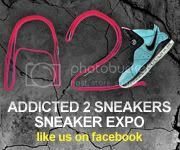 Addicted 2 Sneakers “A2S” which will be Rockland County's first ever buy/sell/trade Sneaker Expo of its kind. 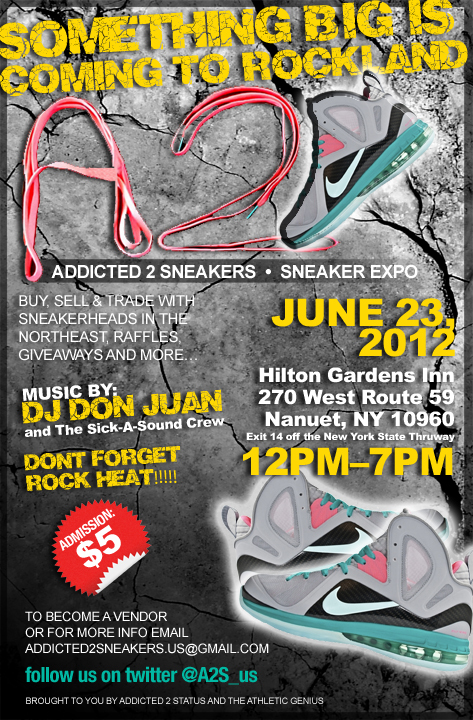 This event will feature several vendors selling some of the most rare and exclusive sneakers and/or merchandise on the market. Although sneakers are what this culture is passionate about, other things that will be highlighted will include: live music, independent clothing lines which are some of the different avenues that the urban and sneaker culture draw into.